I decided to reread one of my favourite books. I have read this twice previously, I honestly adore the relationship in this, the mystery/action, the characters. I would put this book on par with The Unwanted Wife and as you all know I have reread that about 4 times this year and multiple times last year. I recommend this book, it is one of my absolute favorites. I have spoken about this book before on my blog and I have no intention of reading all 40 but it is a great series. Defiantly pick up the first few books. 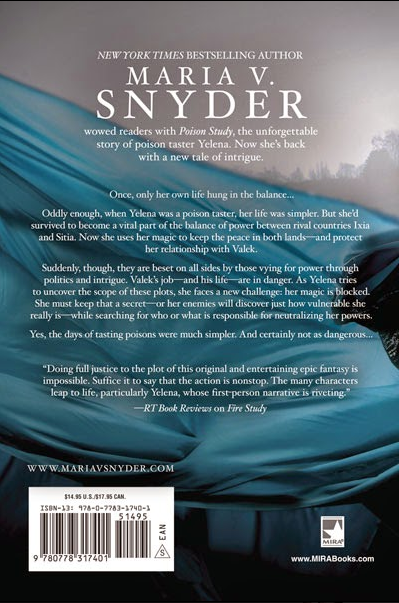 This book is a romance but it is more a mystery/action book which is something I would not usually pick up but this book has made me consider more romance that also have mysteries in. When a senator’s daughter is killed, the secret life of prostitution she’d been leading is revealed. The high-profile case takes Lieutenant Eve Dallas into the rarefied circles of Washing-ton politics and society. Further complicating matters is Eve’s growing attraction to Roarke, who is one of the wealthiest and most influential men on the planet, devilishly handsome… and the leading suspect in the investigation. This book takes place in 2058, the world has evolved and the police department no longer use guns but rather lasers, cars can now hover and space travel is possible. Even though there are these changes to the ‘normal’ world as we know it these do not confuse the reader. At no point in this book did the setting of this book make me think hey what’s going on. This book is based on Lieutenant Eve Dallas, she undertakes a case in which a client has murdered a licensed companion and plans to murder 5 more. I will not say much more on the story line as it defiantly a must read and I do not want to give anything away. I love Eve as a character, she has had such a bad upbringing and younger life but she is a fighter and she has come out top by becoming a police officer. She has 10 years on the force under her belt even though she is only 28 years old. Eve puts her all into everything she does and that is what makes you love her. One of the suspects in the case is billionaire Roarke, but when these two meets there is a sort of attraction between them. Roarke is the one who is the first to acknowledge the attraction though because Eve always holds back from everyone and does not let anyone come too close. I love Roarke, his dialogues are amazing and he can be such a sweet character. Who in the right mind can say no to someone that? I cannot describe my love for Roarke. What I like about this book is Roarke is the one who wants to purse a ‘relationship’ or at least see where the attraction goes. I like that he is the first to admit his feelings and then is not afraid to share them. These two do have a relationship it is not a case of instant love. What I like about the relationship is I feel that both characters are equal, they are partners rather than one having to look out for the other all the time. They both pull their own weight but still they are there for each other. I really like Roarke’s take charge attitude as I feel Eve needs that. The relationship reminds me of Elena and Raphael from Angel’s Blood which is another book I love. What I liked seeing was the relationship and trust develop as the story goes on. I felt so much satisfaction when Eve admits to maybe missing Roarke a little. I cannot describe the writing in this book, it is so well written and gripping. You are literally sucked into the story and need to know what happens straight away. J D Robb has written such an intense book. The dialogues are brilliant and at no point did I hate or want to shake any of the main characters for making stupid decisions. I do not know if bloggers/people talk about this and I may be breaking some unspoken rule, but I wanted to make a blog post on this. I hope no one minds. I’m really really excited today! 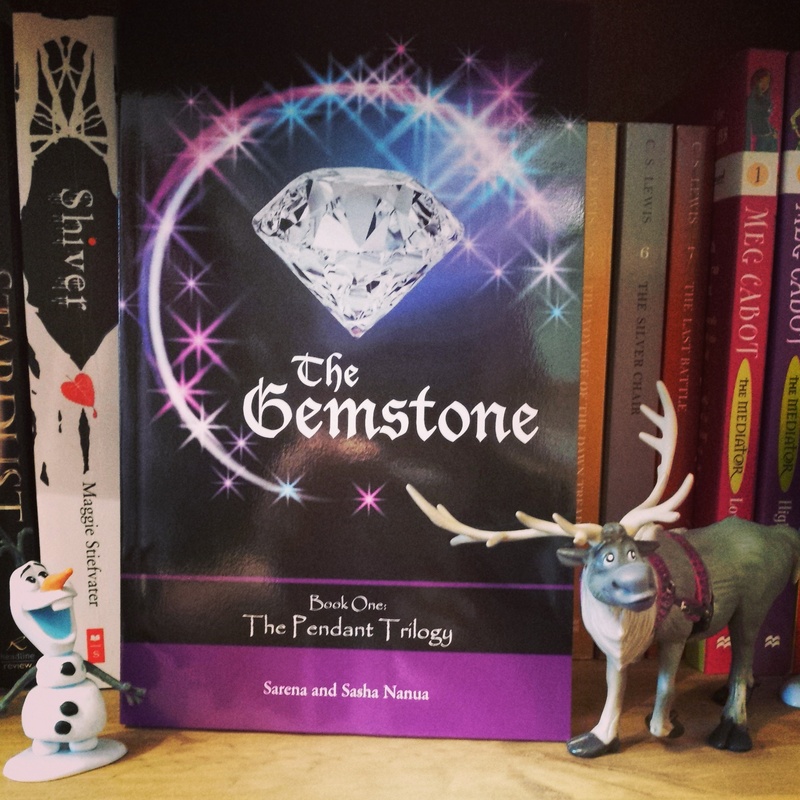 I received my first ever book from an Author/Publishing company in exchange for a honest review. I am so ridiculously happy about this if you cannot tell. This may seem like a small thing, but I find it amazing! It’s made me feel like I have achieved what I set out to accomplish when I started my blog, which is sharing my love of reading with everyone 😀 The book sounds like a really good and I cannot wait to actually read it. I want to say that if I do get any books in exchange for a honest review then it will be honest. I will be upfront and say that it has been sent to me. I want to say thank you to Sarena and Sasha, you can check out their blog at: thependanttrilogy.wordpress.com. I have added this on top of my TBR pile and will be reading it soon! I will do a review once I have read it. P.P.S. How cute is Olaf? I love my Frozen Figures!! 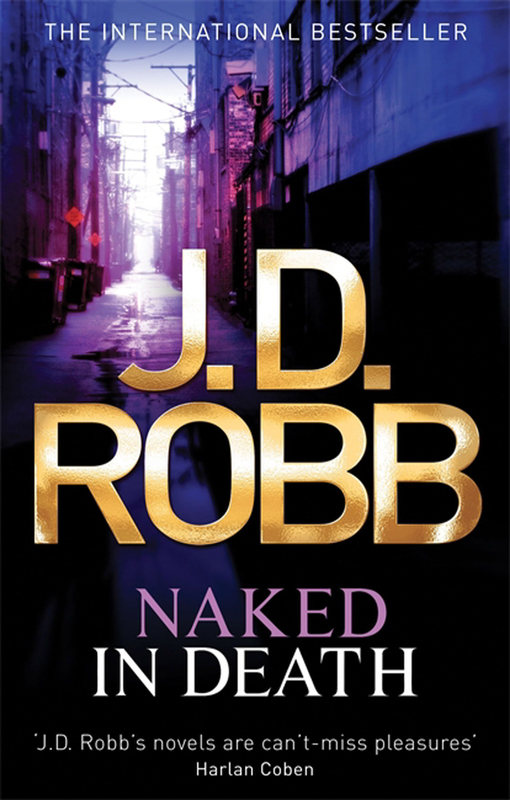 The In death series by J D Robb is another series I have no intention of finishing. I adored Naked in death, it honestly kept me on the edge of my seat the entire time. The romance was amazing and well developed. Both Eve and Roarke were exceptional characters, god what to say about Roarke! I have to share one of my favorite moments from Naked in death. Read the first 3 books at least! I have read 7 books of this series and own the first 11 books. I will read the books that I have purchased of this series and have not read as yet. So if I find the books so far amazing, why do I not want to continue this series? That my friend is a good question and my answer is it is too long, there are just too many books. Currently there are 40 (yes 40!) books in this series so far, all based on Eve and Roarke and J D Robb plans to continue with this series. I understand the feeling about never wanting a series to end but that is just too much. I guess if the other books were on different characters then 40 books is a series is not ridiculous but on the same ones. No way. I love Eve and Roarke I think they are the best thing since sliced bread but I cannot read 40 books. That would bankrupt me if I spent so much money on one series. Plus I do not know if i’d start to feel that the story line is getting repetitive even though it would be a different crime in each book. So read the 3 books of this series at least! They are amazing. If anyone has read all 40 books then please do share your feelings about the series with me. This book has a different take on vampires and vampire hunters. Vampires are not born but they are created, not through a vampire bite but through Angels. Angels ‘make’ a certain number of humans who petition to be a vampire a year. The main benefit of vampirism being the immortality, these vampires do not turn into ash in the sun and can have cool powers depending on who made them. So this is pretty cool right? The catch that being you serve the first 100 years under the angel who makes you as their servant to do as they wish. Elena is a vampire hunter who works for The Guild Hinters. She is given contracts to hunt vampires, not to kill them but capture them and return them to the Angels in charge. Why are vampire hunters needed? They are needed as some vampires feel one they have the immortality and perks who needs to stay in a contract for 100 years and decide to run away. I found this take on vampires very intriguing because it did not follow the norm of vampires. Elena is hunter born which means she hasn’t just trained to be a hunter, it is something she was born to do. She can scent vampires by their own unique scents, which is why she is such an amazing hunter. This is the reason Raphael contracts Elena to take a job on for him. 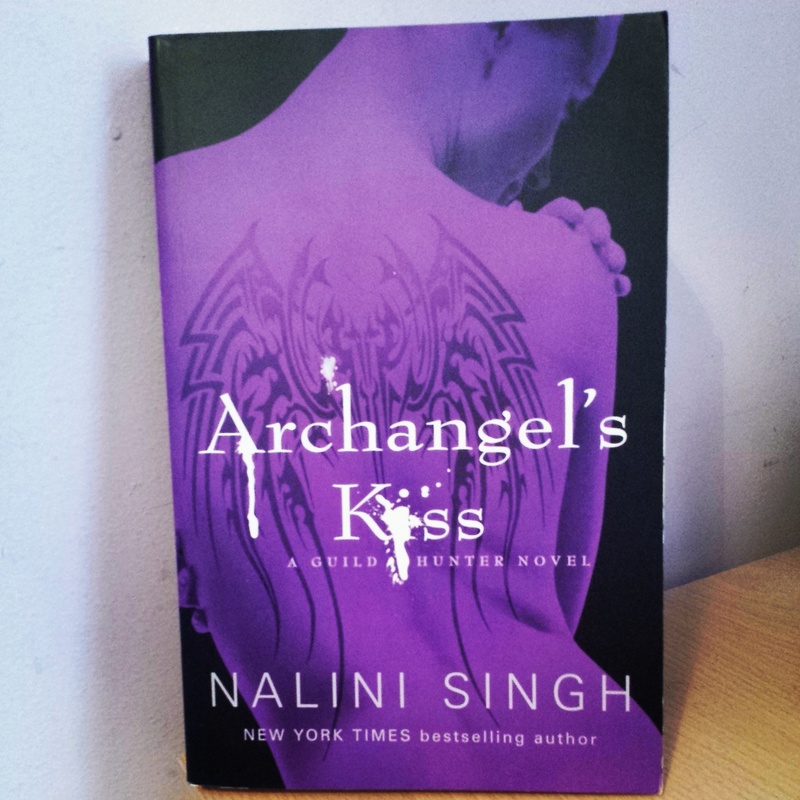 She cannot refuse to do it as Raphael wants the best and who can say no to an Archangel. At first I really did not think I would like Raphael, he wasn’t cruel in a sense but he was too hard and so I could not see myself warming up to him. What I discovered though was that I did not like Raphael because he was too hard but that was what I found interested about him too. I know it’s a contradiction that I did not understand either… I felt as the book progressed I could see him try and change and see just small subtle changes in him which made me like him. The last couple of books I have read I noticed have a consistent theme in them. They all have an awesomely amazing heroine in who does not take a back seat and let the hero do the work, but actually works with him or can look after herself. 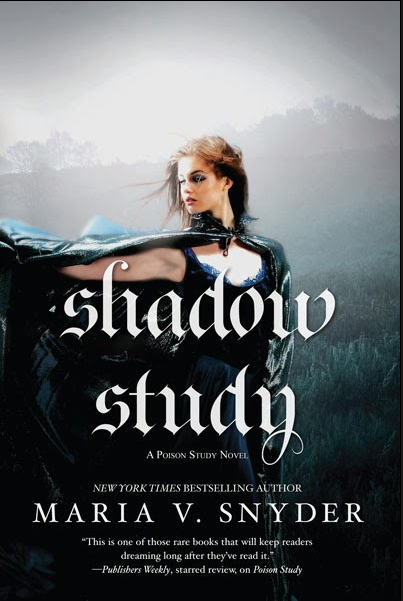 There’s nothing wrong with heroines who need a hero to look after them, I still like to read books like that but I like that Elena is so strong and she stands up to Raphael as if she was a weaker heroine I do not think I would have enjoyed this book as much as I do. I agree with Raphael, Elena is a warrior! 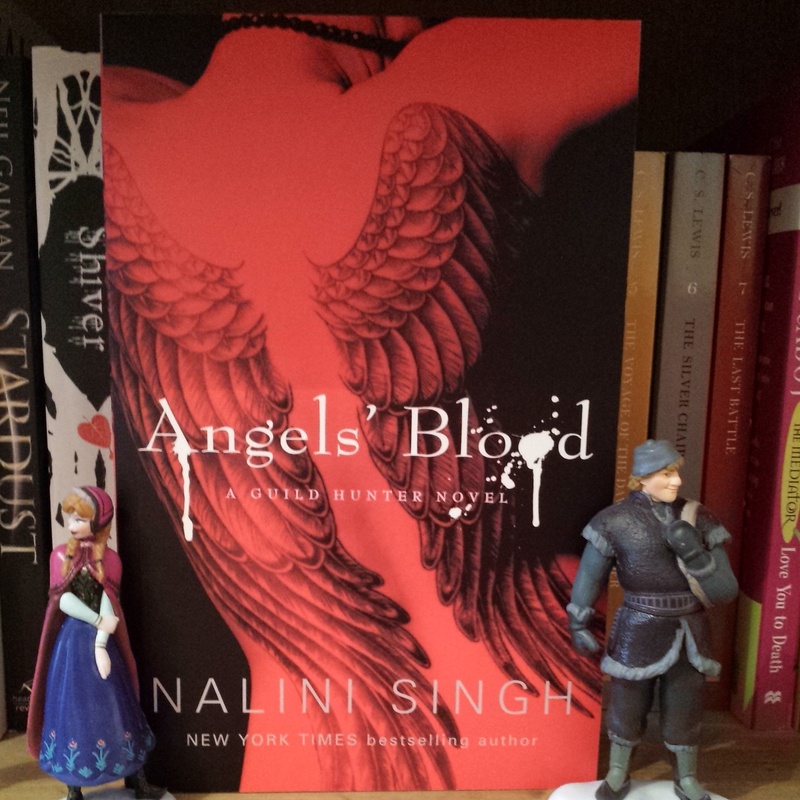 The other characters in this book are interesting too you will find yourself wanting to hear their story (Nalini Singh is doing books on Raphael’s seven) If I had to chose a favorite character other than Elena and Raphael it would be Illium, I think he is a sweet character and his wings sound too cool. I really really want to read his story! The relationship between the two of them is interesting, I like the fact that it is not instant love between the two but it’s attraction which then has a chance to develop into more. The writing style of this book I thought was a tad different, I cannot explain what I mean but it just felt it was different. The story is still fast paced and interesting and you really want to start the book as soon as this one finishes because of the climax. Read this book! Happy Reading! I feel like I talk about money alot on my blog but I have reasons for this. I love books and I personally like to buy them (rather than borrow them from the library) so I am always looking out got deals just incase. The books do not have to be on offer for me to buy them, but it makes me feel like my money has gone further if I do get a good deal. Anyway while shopping on my lunch break at work I popped in to The Works and found a really good deal. 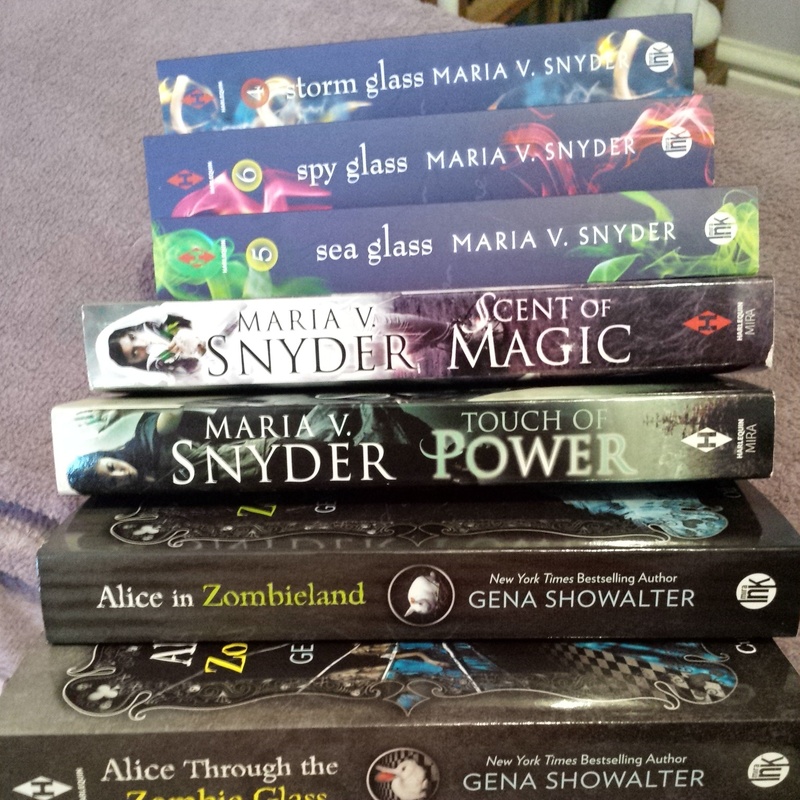 I actually had to buy my books from the Works UK website as they did not have the complete Glass series in the shop but I thought I’d check online and behold they did. On to my book haul! I managed to get 7 books, completely new for £12.00 (14.50 if you include postage) from The Works. They are newish releases so I was very impressed with this. Honestly go check the website out if you live in the UK!